From this morning's blog, you realized that China One was not that lucky. 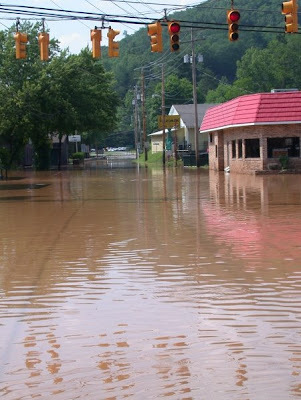 It is cleanup time for many businesses and individuals. 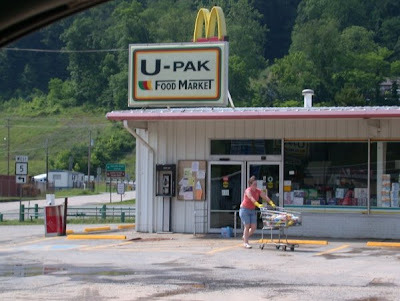 U-Pack had around eight inches of flood waters in the grocery store. 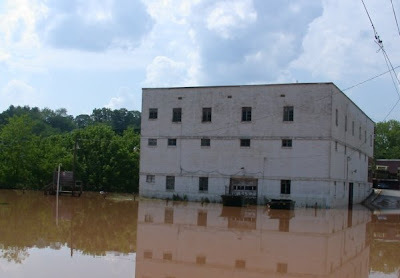 It is so difficult to clean after flood waters have entered your business and grocery stores are extremely so. 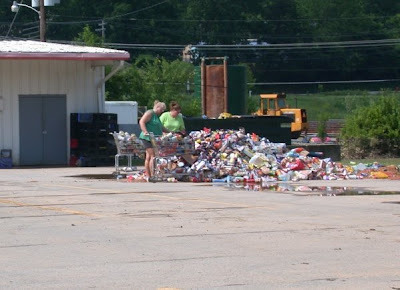 The folks at U-Pack were busy with the cleanup task. 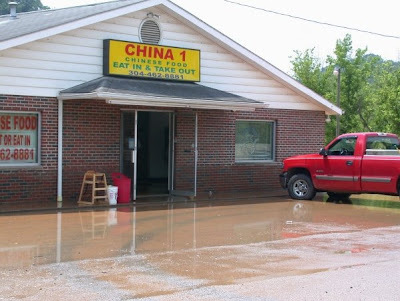 One of the sad aspects of a flood is the amount of food that has to be destroyed. I left Hays City and headed toward downtown Glenville. 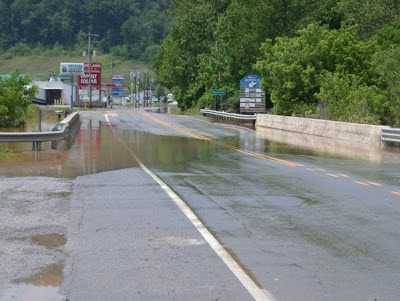 I knew the water was still under the stoplight at the intersection of Routes 119 and 5 so I drove down "The Boulevard" to the east side of town. 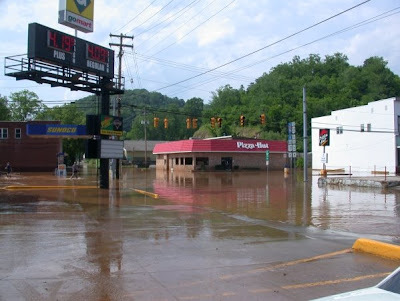 Water was indeed still under the stoplight. 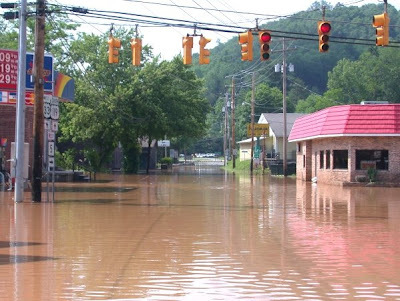 I remember in the 1985 flood where firemen in boats would float under the stoplight and almost be able to touch them. 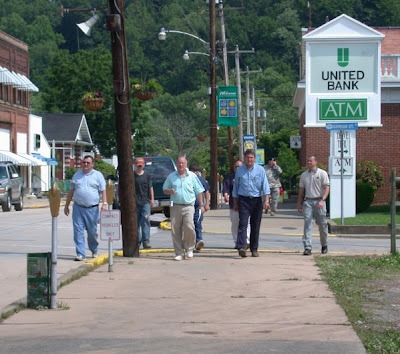 Who would be walking up the street with the editor of our local newspaper editor, Dave Corcoran, and Mayor John Bennett? 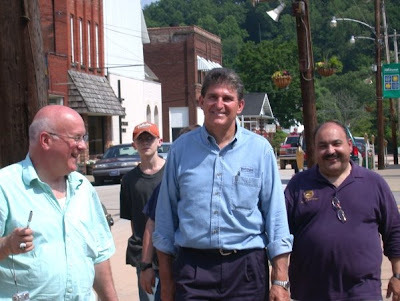 Governor Joe Manchin was in town to survey the damage. 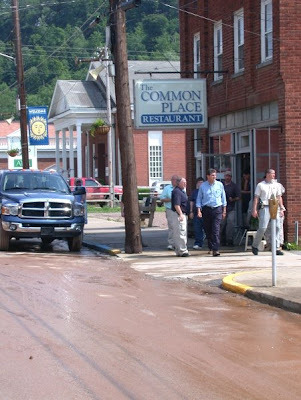 His entourage checked out the flooded businesses on Main Street which included the Common Place, Good Times Pub and Grill, Pizza Hut, Sunfire Tanning & Salon, and Sunoco. 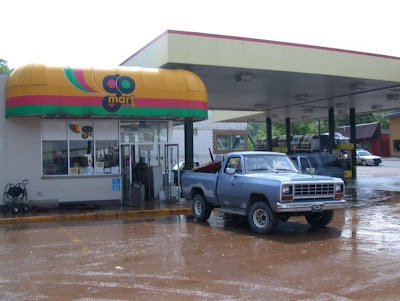 The Common Place was cleaned out. Complements to Fred and Peggy Moore and family - they are hard workers. 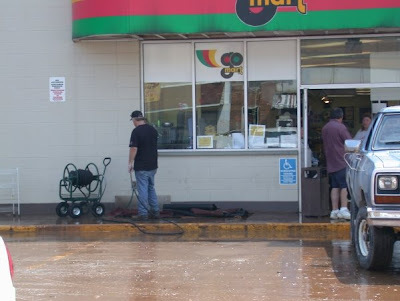 The Go-Mart crew had hoses in hand and were spraying out the debris. 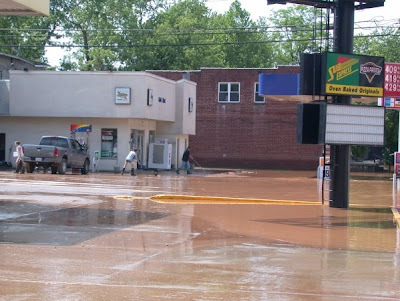 Sunoco staff were also busy cleaning. 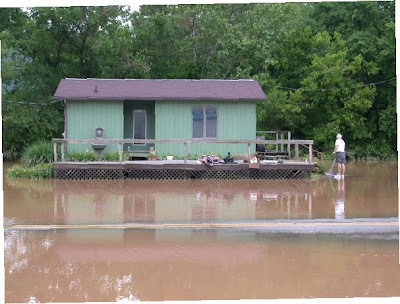 As you can see, it will be several days before the town is back to normal. 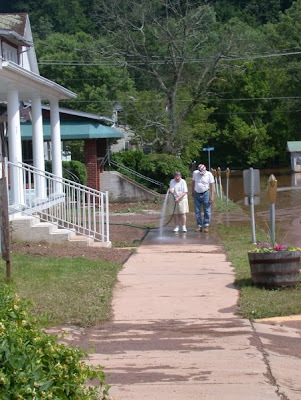 We will leave this blog with the image of Margaret Moss and Tommy Luzader cleaning in front of the Holt House. This home houses the Gilmer County Historical Center. 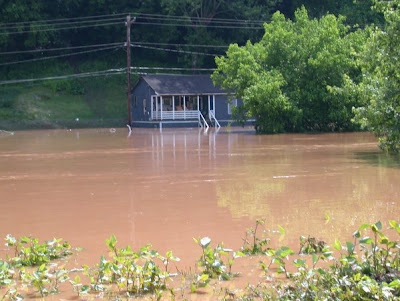 It is amazing how the folks of Gilmer County come out and help their neighbors in a time of crises. Thanks to all!